Purpose: The aim of this study was to determine the effects of central and unilateral posteroanterior (PA) mobilization on cervical lordosis, muscle stiffness and range of motion in a patient with ankylosing spondylitis (AS). Subject and Methods: The subject of this case study was diagnosed with AS in 1997. At baseline, variance was measured without any intervention during the first 3 days (2016.6.13–2016.6.15). Cervical PA mobilization was applied to each segment from C2–C7 from the 4th to the 11th day for 8 days. Intervention was not performed from the 12th to the 15th days for 4 days. Variances were measured a final time without intervention on the 16th day (2016.6.28). Results: Cervical lordosis was seen to have increased. Muscle stiffness was significantly decreased after intervention and the effect of treatment lasted for five days without any additional intervention. The cervical flexion and extension angles were increased. However these increases were not statistically significant. Both the lateral flexion and left rotation angle were significantly increased and the effects of treatment lasted for five days without any additional intervention. These results suggest that central and unilateral PA mobilization is effective in increasing cervical lordosis and range of motion, and decreasing muscle stiffness in patients with AS. Keywords: Ankylosing spondylitis, Posteroanterior mobilization, Cervical lordosis. 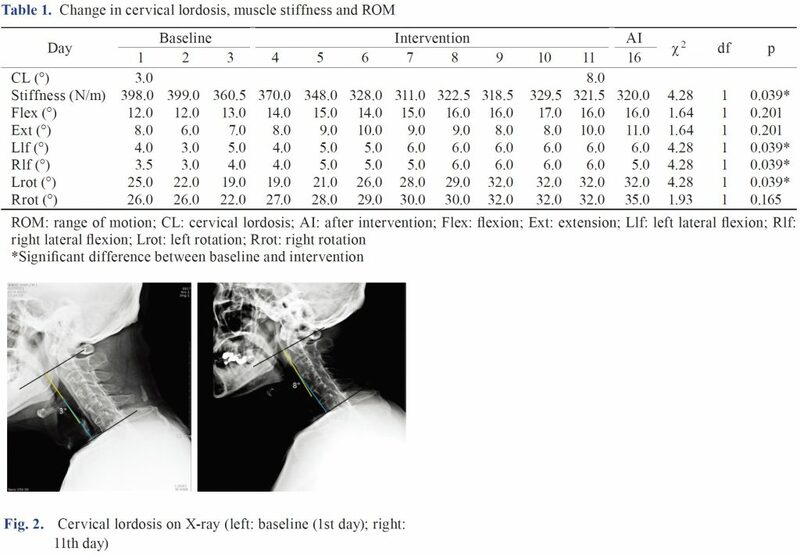 In conclusion, central and unilateral PA mobilization positively affected cervical lordosis, muscle stiffness and cervical ROM in an AS patient. 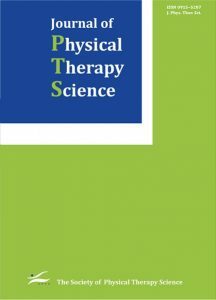 Therefore, this study suggest that PA mobilization can be used to improve the musculoskeletal condition of patients with AS although only one subject participated in this study.